Customers are the king of any business. 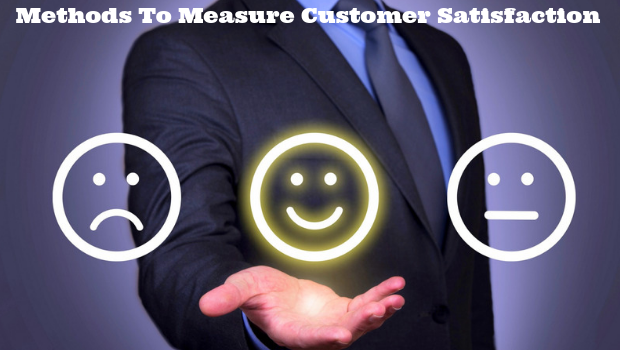 It is difficult to analyze customer satisfaction just with the help of sales. The customer review is not unique and it is difficult to quantify customer satisfaction as it is sometimes fake review from the competitor. Some of the advantages to judge the customer satisfaction are to survey the customers, understand the expectations, find the faults in your service, find out the positive points about your product, know about the competition in the business, measure the emotional aspect of the customer, the loyalty of the customer, and the interest to repurchase the product. Surveys are collected in multiple ways to know about the feedback of the product from the customers. The surveys are collected directly from the customers or through email from the customers, or through phone calls or through YouTube channels. The questions asked to the customers are regarding the positive and negative side of the product. The repeated surveys are to bring the improvisation in the product. Analyzing the expectations is the way to understand the expectations. Every business needs changes and inventions to satisfy the changing demand of the customers. Analyzing the internal factors of the business like the advertisement reach, employee’s performance and the communication chain between the company and the customers give an idea about the business. The internal factors of the business are analyzed and accordingly, the customer satisfaction is analyzed. The customer satisfaction can be analyzed with the actual purchase expectation, suggestions from the customers, what they like and what they did not like. The expectation can be specific like the quality, fee structure, the security, the sensory perception, customer service, and the terms regarding the services, reliability, and sustainability. There are certain elements which customer’s want at free of costs like the meals and drinks to be free on an economic class in the airline, the educational app using customers may expect that the messages to clear their doubt are private, and the terms like the return of the goods if there is no quality, and the customer expect the bank’s website to be loaded. Ask the customers to compare the products and by the way, the competition between the rival products analyzed. Analyze what is the difference and improve your product. The behavior of the customer is very important as it measures the future demand of the product. The satisfaction influences the trend and demand of any product.